If you have decided that a career change is for you, that it is something you want to do, need to do, or maybe you just feel it’s *time*. Your current employment might be boring you, you have gone as far as you can, and you’ve hit that brick wall….. As we get older our needs and feelings change and a career or job that excited you in your twenties now seems out of place – here are a few tips or things to keep in mind as you make that final decision. #1 – make sure you pace yourself, don’t take on too much all at once. Remember changing careers doesn’t happen overnight so it can be very overwhelming – there can be many steps you need to complete before you can successfully change your career path. With commitment and motivation you can achieve anything, take it all a day at a time. If you sit back and look at the picture as a whole – the long term goal it can seem unobtainable, so break it down, and achieve a goal a day at a time. Break it down into small things that you can do each day just to keep the momentum going without being overwhelmed. #2 – Don’t rush into it! If you are unhappy in your current job, take time to work out why that is, and if there is anything you can do to change it. Request a transfer, apply for a promotion, if you find that there is nothing you can do you may be feeling a lot of pressure to make that quick change – especially if you are currently unemployed. Do you research first, if not you may find yourself in a worse job, or a worse position than you were in before, and with the extra stress! Find out and KNOW what it is you need to do, what you have to learn, study or achieve before stepping into a totally new role, you want to feel comfortable and relaxed. 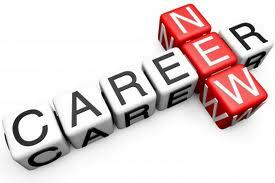 #3 – Whatever your new job or career path is ease into the new position slowly. Take time to find out as much as you can about your new career, network, perhaps even take on a volunteer role or work part time in your new position before deciding to become fully committed. Sometimes new roles or careers can look quite *glamorous* or fun from the outside, but the reality can be quite different. Make sure you are on the right path, find out all you can the good and the bad about your new role and make the necessary changes. Once you go in *with your eyes open* so to speak you will know in your heart you have made the right decision. #4 – Take care of yourself! While you find yourself quite busy with new training, study or with the career transition itself it’s easy to get so caught up that you have – or take – little time to eat, sleep or relax. You need to take some time out for yourself, manage any stress properly, eat right, and take time to exercise and to sleep. This coupled with support from your family will ensure that you have the right stamina and attitude for the big changes ahead. Have you made a big career change in the past? How did you handle it? Do you have any other tips or suggestions you could add? Are you planning on making a career change? What has motivated you to make the change?????? ?